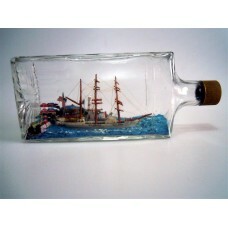 Ships in Bottles, Folk Art, and Bottle Whimsies have captivated imaginations and intrigued collectors since they first appeared. We find them prominently displayed on mantles, in bookcases, and on desks as a collection or an individual specimen. They are wonderful conversation pieces that never fail to raise the question, “How did they put this in a bottle?” They have proven to be a strong investment over time and the outlook for increasing values and collectability looks very bright and growing stronger. This is a scene of a 4 masted Bark anchored outside a town. The Bark rests is a bed of light g.. 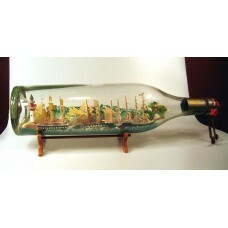 This is a diorama of a 4 masted Bark anchored outside a town. The Bark rests is a bed of light.. 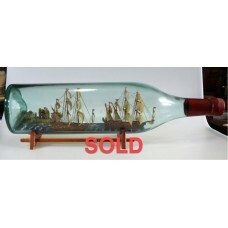 This is a vintage Ship named the "Tvetfala" sailing on a sea of blue. The ship has 3-masts and.. This is an amazingly detailed war diorama. 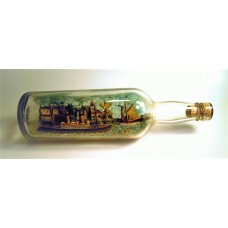 In the scene is a truly impressive ship model in a bottle.. 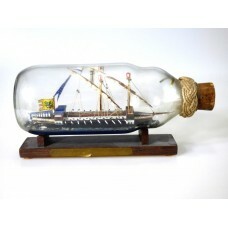 This is a model of an 18th century Russian gunboat sailing on a translucent sea of dark green. .. 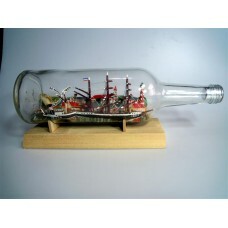 This is a Galley ship from around 1480 built in a bottle. This ship is a long and narrow rowed.. This is a wonderful diorama of a sailing regatta outside Laboe, Germany. The Laboe Naval Memorial is.. 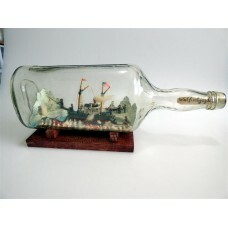 This is a wonderfully rare diorama scene of the early American whaling trade. It is estimated that t.. This amazing scene of two 17th Century French Men-of-War ships sailing past the Mäuseturm und Binger.. 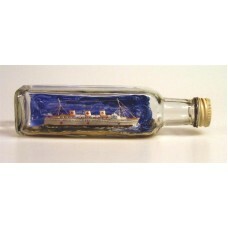 This is WW2 Hospital Ship built much like a model of a passenger liner and may well be that type of .. 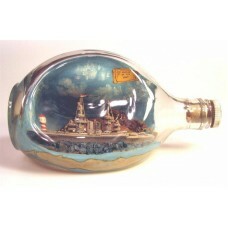 While there were many ships in bottles made by Prisoner of War soldiers in World War II, and far mor..